If you are working from AngkorHub for at least a month and want to share your knowledge and help increase the impact of local organizations, we have a volunteer mentoring program for you. Simple and beautiful: you meet with a staff member of the organization for 2-3 hours weekly, during at least 4 weeks. In those session you help your mentoree develop his/her competencies and skills. 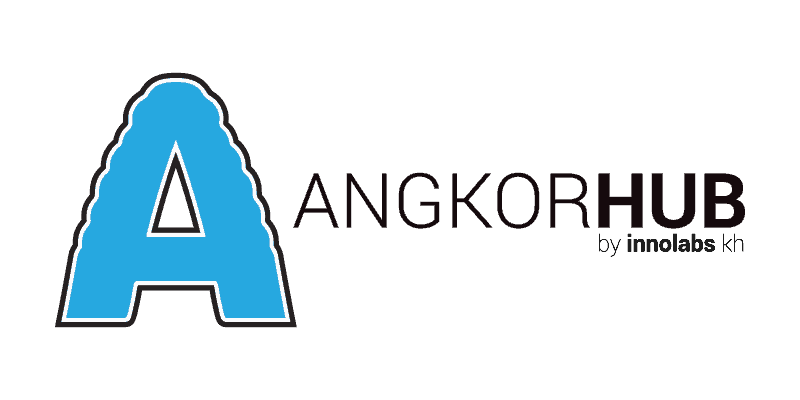 AngkorHUB is a place where talented professionals from all over the world come to work from. These location-independent workers, often called ‘digital nomads’, use the ever growing IT tools and apps to deliver great services to their customers all over the world. Many of these professionals are also looking into ways of connecting with local people and organizations. Aware of the challenges that the organizations face in the personal and professional development of their staff, they are willing to share their knowledge and competencies. Bayon provides education to children and youth in need living in Angkor (near Bayon temple) and a pastry vocational training to underprivileged women in Siem Reap. Caring for Cambodia supports 21 local schools by training their teachers, improving learning environments and providing with nutritional, health and infrastructure resources to change lives through education. Friends International protects marginalized urban children and youth and with them create innovative and exciting opportunities to build their futures. Journeys within our community (JWOC) – JWOC develops projects in Southeast Asia that reduce poverty levels, increase educational and economic opportunities, and empower recipients and supporters, inspiring ongoing social change. 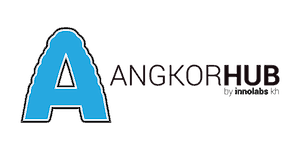 PEPY Empowering Youth is a Cambodia-based education and youth-leadership non-profit organization (LNGO). They work to empower young Cambodians through their Learning Center, Dream Management Project and Scholarship Program. Safe Haven provides comprehensive health and rehabilitation services to children with disabilities living in Siem Reap Province. We visit families at home to provide treatment, education, and support to improve quality of life, safety, and understanding of special needs. We are excited to be working with these great organizations that are creating great social impact in Siem Reap. As the program grows we want to include more partner organizations, but for the moment we prefer focusing on a few but deliver concrete opportunities. Each organization provides us with opportunities for coworkers at AngkorHUB to help their staff improve or update their competencies. If you are interested, let us know and we’ll share those opportunities with you. I'm staying only 1 week in Siem Reap, can I be a volunteer mentor? No. After many years working with local social organizations, we know that short term volunteering can easily be more a problem than a help. We believe that a minimum of 4 weeks and a mentoring logic as drawn by this program is a real way of having an impact. Many of the organizations we work with have 3-month minimum requirement for regular volunteers. This program is aiming at creating a rich exchange in short time through the mentoring logic. I want to teach at a local school, can you or one of the organizations enroll me for that? While there are other initiatives that allow for that kind of volunteering, we aim at “teaching the teacher”. We believe that we can have broader impact in people’s lives by developing the skills of them who work with them everyday. We invite you to consider sharing your knowledge with teachers and staff members at educational institutions! It looks very interesting, I can't find the opportunities for volunteering at each organization. We are excited you are interested!, drop us a line and we will share the most recent opportunities with you. How much does it cost to participate as a volunteer mentor? There is no extra fee for participating in the volunteer mentorship program. As stated above, we do require a minimum of 4 weeks of commitment with the local organization. 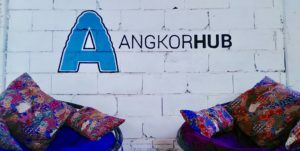 Take a look here for the co-working prices at AngkorHub.